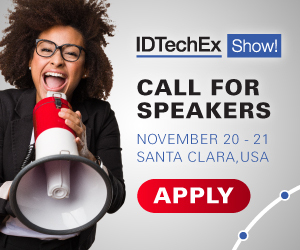 Independent analyst company, IDTechEx, will be highlighting life sciences with a selection of healthcare presentations at the forthcoming IDTechEx Show!, Nov 14-15 in CA. Attendees of the event can follow healthcare-specific sessions through our existing conference tracks to learn more about how the healthcare sector can utilize and benefit from their technologies. Healthcare is a particularly exciting area at IDTechEx, as innovations in each of the emerging technologies that we cover are having a disruptive impact on how healthcare is being researched, developed, and delivered. Running between the conferences of 3D Printing USA, Printed Electronics USA, Sensors USA, and Wearables USA, the healthcare sessions explore the use of these technologies. Boston Scientific - "The Opportunities for Printed Electronics in Boston Scientific Medical Devices"
Henkel - "Materials for Medical Sensors"
Proteus Digital Health - "Did You Take Your Medicine? There is a Wearable for That!" Maxim Integrated - "Technology Enabling a Healthier World: The Future of Medical Wearables"
Anatomics - "Additive Manufacturing for Surgical Tools and Implants"
An area adjacent to the healthcare sector that is rapidly growing is the area of wellness. This topic will be covered as part of the sessions on Wearable Devices in the Workplace, and Elite Sports Analytics with Wearable Devices. You can also learn more about our masterclass offerings at: www.IDTechEx.com/usa2018/show/en/masterclasses.